This month marks 30 years since a very special serial of Doctor Who, Remembrance of the Daleks, was aired on our television screens. The story included the introduction of some beloved characters who have returned on audios from Big Finish as the Counter-Measures team. First seen together in 1988’s Remembrance of the Daleks, the audio range of Counter-Measures continues the adventures of Professor Rachel Jensen (Pamela Salem), Group Captain Ian Gilmore (Simon Williams) and Allison Williams (Karen Gledhill) – now working for Sir Toby Kinsella (Hugh Ross) – as they battle threats to England in the 1960s. This weekend we’re celebrating 30 years since the creation of that team with some special offers – and we’re pleased to announce there will be a brand new Counter-Measures adventure released later this year. Counter-Measures continued with a further three series in the Swinging Sixties, plus they were reunited with the Seventh Doctor and Ace in one of the Main Range stories celebrating 50 years of Doctor Who, The Assassination Games. The Counter-Measures team also starred in the epic adventure uniting the Doctor's friends across time and space with Jago & Litefoot, the Vault, the Sixth Doctor and Gallifrey in the limited edition story, The Worlds of Doctor Who. In 2016 a new era for the Counter-Measures team was forged under a new series, The New Counter-Measures. It’s Christmas 1973. Nearly ten years have elapsed since the Counter-Measures group vanished. Only one of the remaining members is officially alive. But that is about to change. In The New Counter-Measures Series One and Series Two, the team were back in action in the 1970s facing off against the Yeti and the Great Intelligence. And now we are pleased to announce that the Counter-Measures team will return for one more adventure… The Hollow King by Ian Potter, is available for pre-order ahead of its release this January. They say lights have been seen in the skies over Swammcombe. They say this is the place to spot flying saucers. Allison Williams is not so convinced. But maybe Allison Williams is wrong. When she witnesses a UFO launch from the top of a hill is it signs of alien activity... or something more sinister? How true are Cavall’s teachings? What happens during the elite ‘Visualisation’ sessions? And what does this all have to do with the King under the hill? The Hollow King will be available in January 2019 at £10.99 on CD or £8.99 on download. All the releases featuring the Counter-Measures team are on special offer this weekend. Head to page https://www.bigfinish.com/offers/v/chunky and use access code BERNARD to get these Counter-Measures releases at a special offer price. These offers last until 23:59 (UK time) on Monday 15th October 2018, so don't miss out. And don't forget, you can save further with bundles of the Counter-Measures releases. 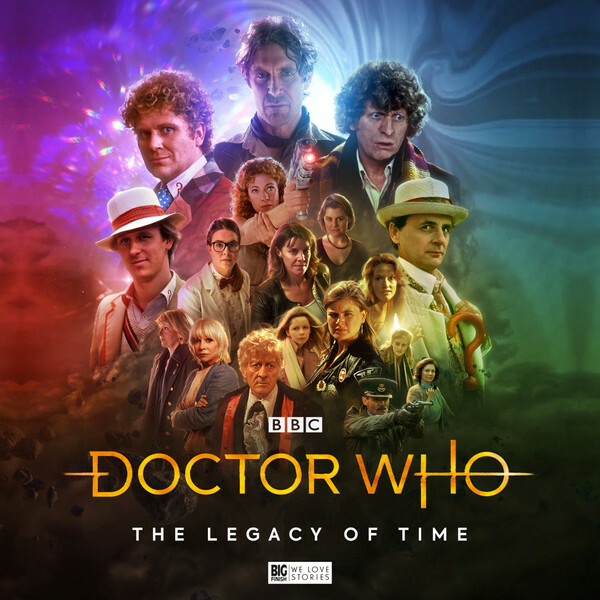 Plus you can find the Counter-Measures team in the anniversary release, The Legacy of Time, marking 20 years of Doctor Who on audio – out for release in July 2019.